What Makes PDF Patterns So Much Better Than Paper Ones? Home/Sewing Machines/What Makes PDF Patterns So Much Better Than Paper Ones? 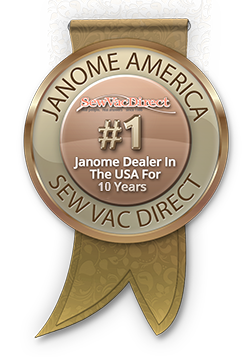 A great thing about making clothing on quality Janome sewing machines is the many patterns available to you. There’s a pattern out there for just about anything you could want to make on sewing machines like the Janome 7318! Yet not all of them are paper patterns you buy in the store, as PDF digital patterns have become increasingly popular; some even think PDF patterns are better than paper patterns. Before you spend all that time going from shop to shop in search of the perfect sewing pattern, consider these great reasons why PDF types are better and why you should get some. One of the best things about PDF patterns for garments you can make on sewing machines is just how many are available. Anything you can get a paper pattern for, you can get in PDF format today. What’s even better is that you’ll find that most PDF patterns offer broader size ranges than the paper patterns in the stores. You won’t need to spend precious sewing time trying to modify your physical pattern because the PDF likely has the size you need. Patterns designed to offer a variety of sizes can be confusing to read; with all those sizes stacked up, picking the right one to cut out can be a challenge. This confusion is gone with digital PDF patterns designed so that each size is on a different file layer. All you have to do is pick the size you want and only print out that layer; once the pattern prints, just trim around it and it’s ready to use. Favorite paper patterns get ragged and hard to use over time; wouldn’t it be great if you could have a fresh replacement every time you wanted to use the same pattern to sew another item with your Janome 7318? Well, when you buy a PDF, you can! You can print out a new copy of your pattern for every project so you’ll never have to deal with marks, pinholes, and notches from previous projects or worry about the pattern being damaged as you work - just print, trim, and sew. As much fun as it is to go to the fabric shop and pick out patterns to sew with Janome sewing machines, sometimes it’s just not convenient. Store hours, work schedules, and other responsibilities always get in the way. Then when you do finally get there, do you end up spending hours searching and spend more money than you intended because of all the gorgeous fabric and notions that catch your eye? Shopping for patterns online, day or night, whenever you have a few spare moments makes a lot more sense. You can search and buy a pattern quickly and have it in hand within minutes; you also won’t wind up buying all kinds of things you really don’t need. When you purchase a PDF pattern, you will many times get with it access to Facebook groups and other social communities where the pattern maker and other sewists offer help to each other. Social groups may not be anything new, but the ones set up by the pattern makers usually provide one-on-one help with the exact pattern you bought. Since most PDF patterns are made by indie pattern makers, most are very willing to help out other sewists when working with their patterns. Before you assume you’re limited to the paper patterns in the local fabric shop or the ones you can order online, don’t forget about PDFs. Digital PDF patterns for garments you can sew on sewing machines like the Janome 7318 can be much better than buying paper ones. With more freedom, options, and convenience, you can’t go wrong with PDF clothing patterns and Janome sewing machines!